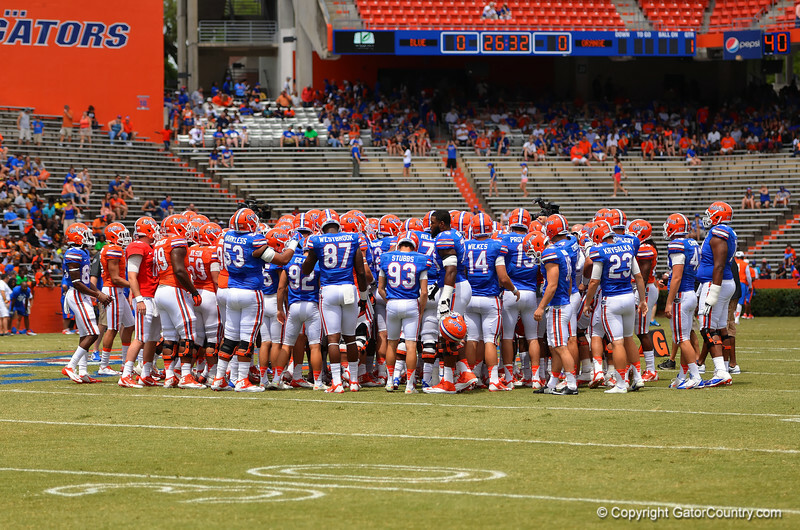 The Gators wrap up spring practice with their annual Orange and Blue Debut. The Florida Gators wrap up their spring practice season with the 2014 Orange and Blue Debut. The Gators gather at mid-field before the start of the game. 2014 Orange and Blue Debut. April 12th, 2014. Gator Country photo by David Bowie.